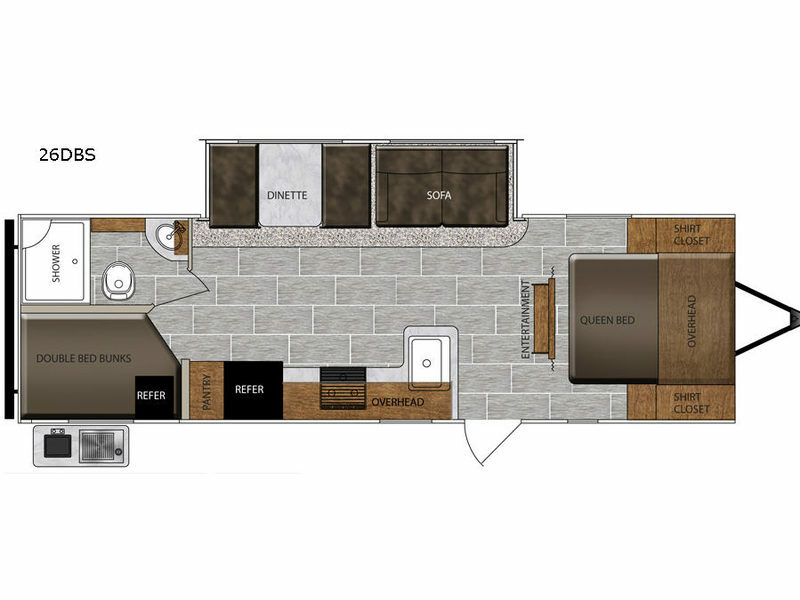 Sleeping space for eight sleepy campers, an indoor and outdoor cooking space, plus a single slide out for added roominess makes this Tracer Breeze travel trailer by Prime Time RV a great choice for any larger family! Model 26DBS offers a foam queen mattress for the owners to rest while the kiddos laugh and tell stories while laying on the double bed bunks or sofa once folded down. The rear bath is conveniently next to the bunks for easy access at night for the kids, and the main living area offers an LED flat screen TV and a slide out with a booth dinette and sofa for everyone to enjoy. The chef in the family might be cooking on the outside kitchen if you can't find him inside. Take a look today!